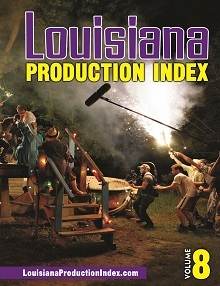 Louisiana Entertainment recently announced the launch of its new Web site, www.LouisianaEntertainment.gov, which introduces many new features and a modern design that showcases Louisiana’s film, interactive, live performance, and music incentive programs. The new site is a bold new step to showcase Louisiana’s burgeoning entertainment industry that has benefited from the State’s comprehensive suite of incentives. The site is committed to providing a unique experience for industry professionals and novices, and includes a new production and location directory, educational resources, and the latest entertainment news. 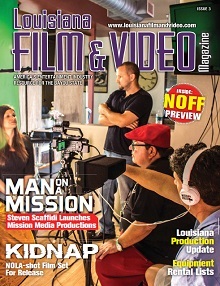 A picture gallery highlights Louisiana-made films, records, plays and performances, video games and software. Users can find links to Louisiana Entertainment’s social media outlets or sign up for the newsletter. For questions or comments, send e-mail to led-entertainment@la.gov. 3 weeks ago, I mailed (reg.mail) a actor`s pic/resume to New Orleans “talent-agent”: TAG agency(a.k.a./ Atherton talent agency) ,It`s address is in canal st./new orleans, but my letter came back” moved no new address.” How can I find if this agency still in business?